The Girl Rising revolution continues. Educate girls and you will change the world. Volunteers collect stones to help count the crowd. After six months of progress, the IMA World Health team in DRC are in the final stages of the effort that will show the Girl Rising film in all 52 health zones covered by the Access to Primary Health Care Project. Funded by the UK’s Department for International Development, the Access to Primary Health Care project, known by the local, French abbreviation ASSP, seeks to improve the health of women and children in five provinces in DRC. Girl Rising works with partners, such as IMA, to launch high-profile campaigns to bring visibility to issues girls face and inspire people to dismantle the barriers that hold them back. The first showing was in the province of Nord Ubangi. The team moved into Maniema and Tshopo in October. And the final stage of implementation took place in the province of Kasai this month. But the real work is in creating the system of Ambassadors who will fan out and show the film in the 52 heath zones. More than two dozen Ambassador candidates traveled to the small capital town, Tshikapa, for a five-day training. During the training, candidates learned new skills, such as data collection and how to use Open Data Kit software on smartphones. Many development and humanitarian organizations use this technology in day-to-day operations, so these skills helps all candidates, including those not chosen for the project, to find jobs in the future. At the end of training, 17 candidates were chosen to be the new ambassadors for Kasai. Their jobs will be to show the Girl Rising film alongside ASSP behavior-change media aimed to teach lifesaving health practices. The ambassadors will host movie nights in 360 health areas across the province each month. Movie nights generally attract an average of 350 people per showing. If that number holds true for Kasai, 126,000 people will see the movie and hear the life-changing messages in the first month alone. 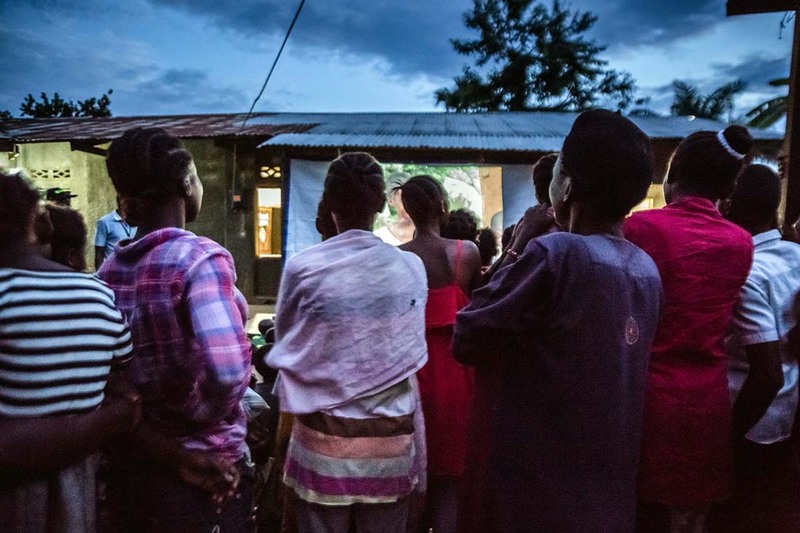 The first movie night in the new region took place on Feb. 2 at three health centers in Menonite, Mairie and Abattoir health areas in Tshikapa and Kanzala Health Zones. Close to 1,000 vibrant and receptive participants attended these events. All this progress has been made in just six months. Imagine how much more will be accomplished as the Girl Rising revolution continues throughout DRC, Africa and the world.